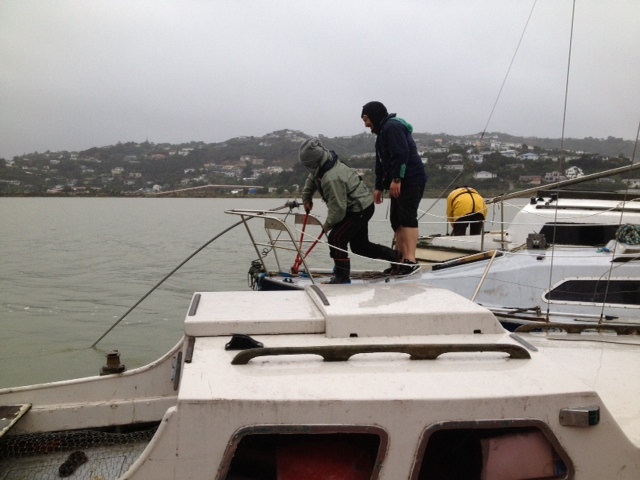 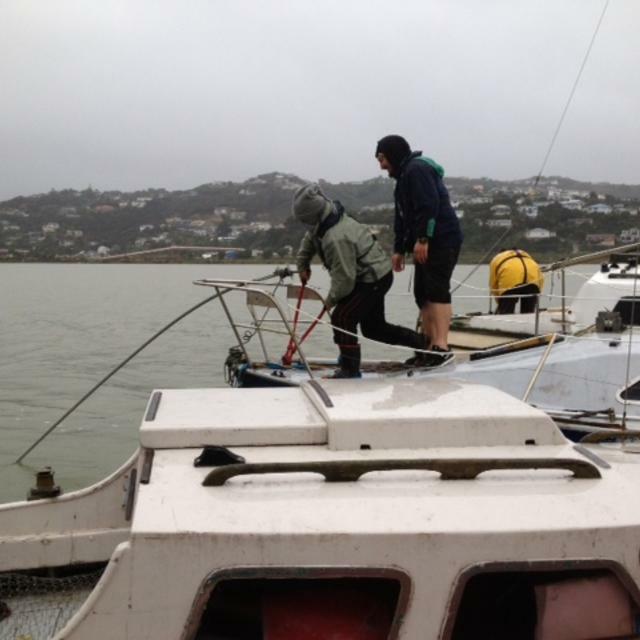 9 out of 10 yachts moored on the pole moorings in the entrance to Porirua Harbour sustained damage as a result of them, or their neighbours, coming loose from their moorings during the severe storm on Thursday 20 June 2013. 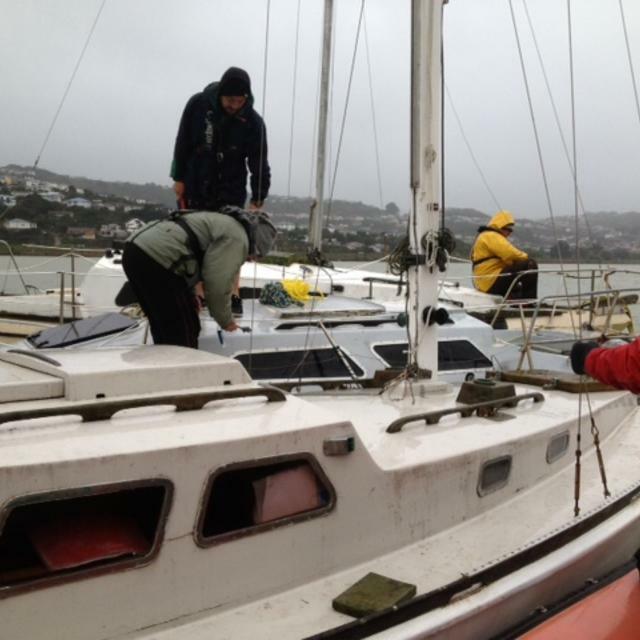 Coastguard Mana observed the yachts, one of which had been dis-masted, alongside each other the following morning and contacted the owners to let them know. 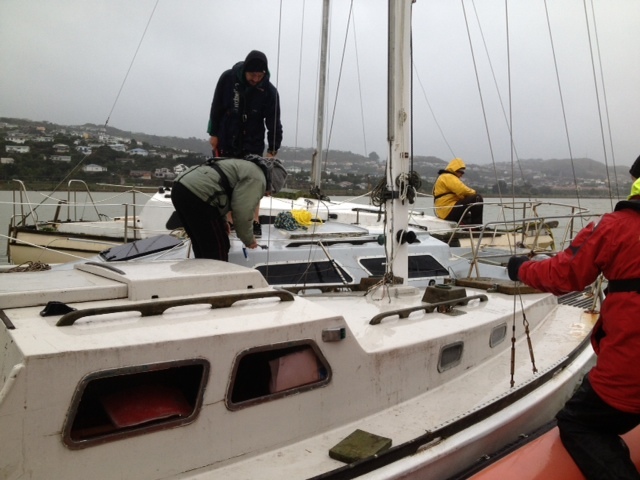 As they were having difficulty in getting to the moorings themselves the following day we offered to assist them on the Saturday morning by taking them to their vessels and helping them to secure them back on their moorings correctly.